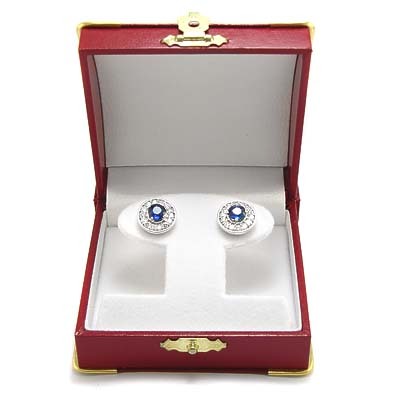 Anzor Jewelry - 14k White Gold Sapphire Diamond Stud Earrings 1.20ct. Up To 8 Characters Including Symbols. 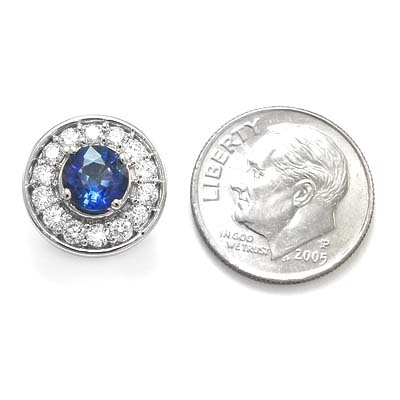 14k White Gold Sapphire Diamond Stud Earrings 1.20ct. 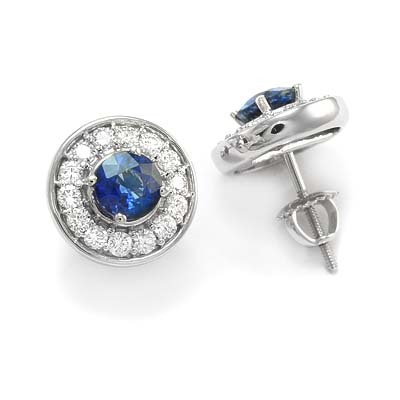 Brilliant cobalt blue tones will draw the eye to two fine quality natural genuine sapphires. 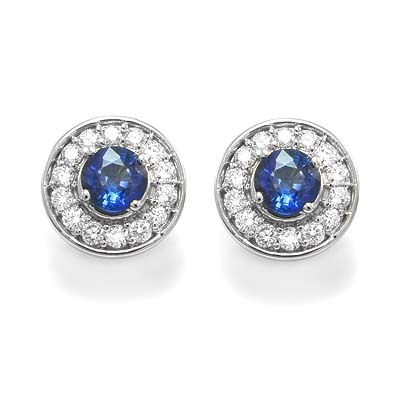 Fourteen sparkling diamonds border each sapphire in these lovely 14k white gold stud earrings. Each earring is fastened with a screw back lock for a secure closure. Note: Ships Within: 2-3 Business Days. This is a brand new item and is manufactured on our premises in New York City's Diamond District. A Company Appraisal Is Included With Your Purchase. Наши телефоны: 1.800.548. 0411. - 1 212.921.2665 Приём заказов круглосуточно по телефону или через Интернет. Доставка товара в любой уголок России, где есть почта. Срок доставки зависит от удалённости региона. Our Warranty: A full year on workmanship! Diamond District of New York City, New York. 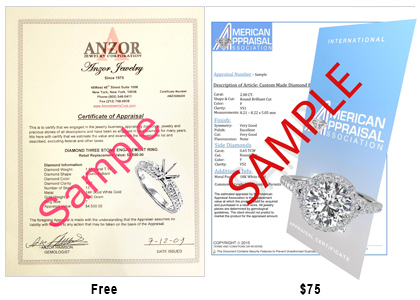 Check out our more modern website available at anzordiamonds.com!